The Palmichael has been a chic modern eatery for over 30 years, successfully owned and managed by Vincenzo and Angela Palmiero along with their daughter Maria and son Michael. They have a wonderful, friendly approach to brilliant service and excellent food, developing classic signature dishes and sharing their experience to achieve the highest standard in Italian cuisine. 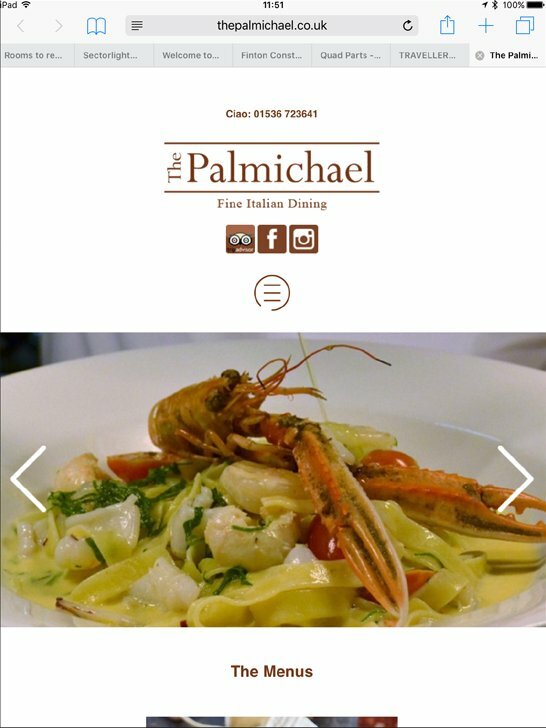 We were asked to design and create a fully mobile responsive, CMS driven website, showcasing the elegance and character of Palmichael's Italian cuisine within its inviting, atmospheric and stylish restaurant. They wanted to show the restaurant as the place to meet with family, friends and work colleagues. We ensured menu choices would be made much easier with a lively, clear and concise mobile responsive solution to ease navigation and whet the appetite. A contemporary layout and easily legible typography was used across all devices and screen sizes. We produced a contemporary layout design with a focus on excellent photography to showcase their sumptuous and elegant cuisine. In harmony with typographic choices sympathetic to imagery and subject, the website showcases the dining experience, providing history and heritage. 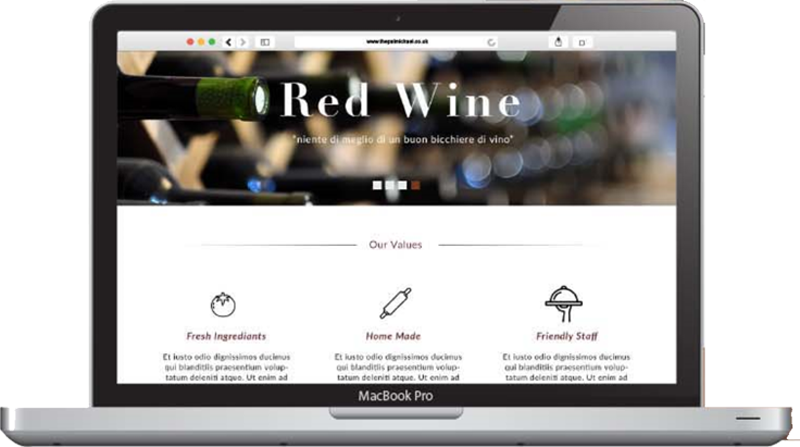 We enhanced and enlivened the experience for diners with an ease of site navigation, including updateable menus, special events and celebration sections, a warm and inviting photographic gallery and feedback forms to add to search engine optimisation. The Palmichael’s focus is on serving excellent Italian food. We ensured the design of the website allows them to showcase this through the use of images and text which can be shared across social media platforms and review sites. The Palmichael required full brand guidelines for longevity, emphasising quality and character while accommodating ease of continuous updating through a simple CMS. A traditional Italian family-run restaurant with a modern twist.